We’re thrilled to announce the 2018 Interactive Innovation Awards Finalists and the Hall of Fame Inductee, Eli Pariser. The 3rd annual Innovation Awards Finalist Showcase offers SXSW Interactive, Film, Music, and Platinum badgeholders a first look at 2017’s best, most forward-thinking projects in the fields of health and bio-tech, VR and AR, AI and machine learning, privacy and security, smart cities and responsive design, and more. The 65 finalists across 13 categories exhibit their work for SXSW registrants, who vote to determine the winner of the People’s Choice Award. 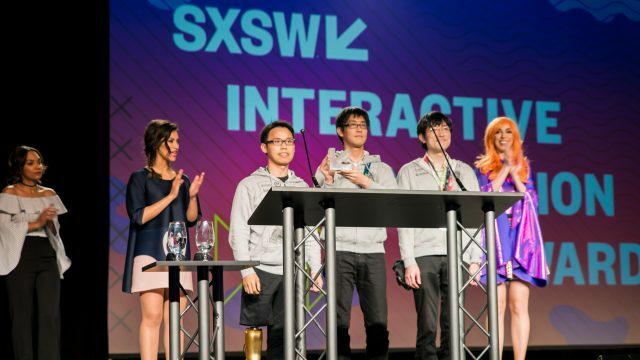 The SXSW Interactive Innovation Awards will reveal winners in each of the 13 categories plus six additional honors, including Best of Show, People’s Choice, Breakout Trend of the Event, Speaker of the Event and Meme of the Year. Congratulations to all the finalists! Eli Pariser is the President of Upworthy and GOOD Worldwide. He has dedicated his career to figuring out how technology can elevate important topics in the world — as an author, an online organizer, and most recently, as a co-founder of Upworthy. Pariser served as the executive director of MoveOn.org from 2004-2009, growing membership to more than 5 million members and raising over $120 million. He also co-founded Avaaz.org, which is now the largest online advocacy organization in the world. In 2011, Pariser published the bestselling book The Filter Bubble: What the Internet Is Hiding from You. Pariser founded Upworthy with longtime collaborator Peter Koechley in March 2012. The pair set out to prove once and for all that what’s important can be incredibly popular, even if what’s popular isn’t usually important.